Otolaryngology, or Ear, Nose & Throat, is “a medical specialty concerned especially with the ear, nose, and throat” according to Merriam-Webster Dictionary. It is the oldest medical practice in the United States, and nearly half of all doctor visits are related to the ears, nose, or throat. 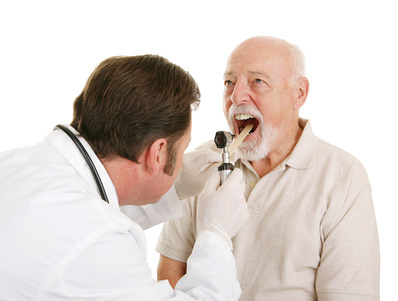 The ENT physician diagnoses and treats diseases and problems with the ears, nose, and throat such as problems with the sinuses, larynx (vocal chords), oral cavity, ear infections, tinnitus, and balance disorders as well as birth defects affecting the face, mouth, and inner and outer ear. All ENT physicians are trained in surgery of the ear, nose, and throat and are often called upon by other physicians instead of a general surgeon when these types of surgery are needed. Many perform reconstructive surgeries on the face for those with injuries or birth defects. There are seven areas of specialization within the field of otolaryngology and some ENT physicians may choose to limit their practice to one or a few of these areas. It is important to know which, if any, your physician specializes in. Allergy: focused on the treatment of allergies by medication, immunotherapy (allergy shots,) or avoidance. Facial Reconstructive Surgery: specializing in the functional and reconstructive surgical treatment of face and ear abnormalities caused either by trauma or birth defect. ENT physicians must first complete their M.D. (Doctor of Medicine) or D.O. (Doctor of Osteopathy) from a medical school and at least 5 years of specialty training in otolaryngology. Once training is complete, the physician must pass the Board of Otolaryngology examination. If the doctor wishes to focus on one of the specialties, he or she must complete a one or two year fellowship in the specialty. As with all physicians, ENT physicians are required to have a medical license which is obtained by passing the United States Medical Licensing Exam.